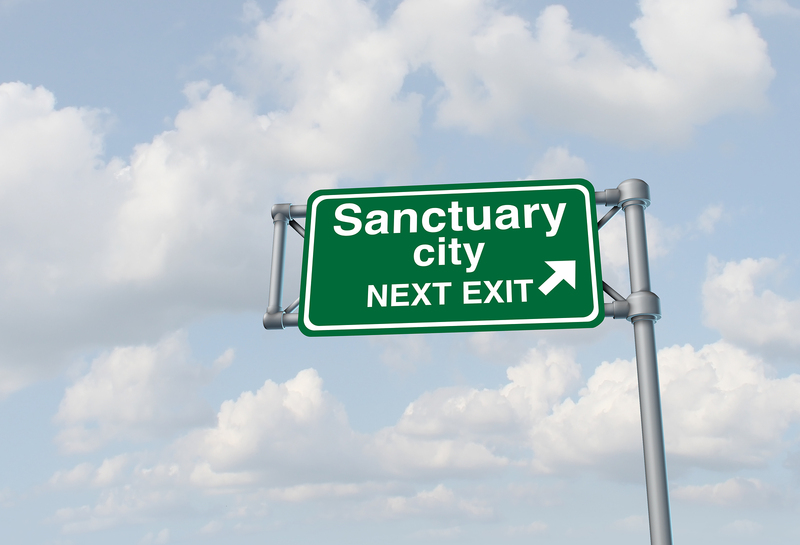 CARLSBAD — In a rather calm and civil discussion and public comment, the Carlsbad City Council voted, 4-1, on May 21 to oppose California’s sanctuary cities. The city will bring forward a resolution in the coming weeks to oppose the controversial Senate Bill 54, also known as the California Values Act, and will join a pending lawsuit against the state by filing an amicus brief when or if the case reaches the appellate level. The U.S. Department of Justice is suing the state over SB 54 and two other bills, claiming it prevents local law enforcement agencies from interacting with federal immigration agencies. Mayor Matt Hall and Councilmen Keith Blackburn, Michael Schumacher and Mark Packard said they support the action for public safety reasons. Hall said the inability for local and federal law enforcement entities to communicate puts the public at risk from illegal immigrants who are criminals. Blackburn placed the item on the agenda, saying many residents have asked him about the issue and the council’s position. Councilwoman Cori Schumacher (no relation), citing SB 54, said the bill allows for such communication for more than 800 crimes, whether felony or “wobblers,” which are either a gross misdemeanor or felony. She was in favor of the city remaining neutral and taking no action. Schumacher slammed her colleagues saying the issue was politically motivated. Carlsbad is the latest municipality to jump into the national debate. Recently, Escondido and San Diego County also sided with the U.S. Department of Justice, while the cities of San Diego, National City and Chula Vista are supporting the state. About 40 people were in attendance with most of the 17 speakers supporting SB 54. The mood was in stark contrast compared to the city of Escondido several weeks ago, where supporters and opponents numbered about 200 and were much more animated during the five-hour meeting. Felicia Gomez, policy coordinator for the California Immigrant Policy Center, said targeting immigrants reduces trust and interaction with law enforcement. She cited a University of California, San Diego study noting 60.8 percent of illegal immigrants don’t report a crime because they fear they will be arrested and deported. Resident Laura Drellshek said the issue should remain between the federal government and state. “I don’t want you to speak for me on this,” she added. However, opponents of SB 54 said it allows illegal immigrants with criminal backgrounds to run free unchecked and is a drain on resources, which should be for citizens or those who have immigrated legally. If you were not present at the meeting you should have been. You could have seen Carlsbad elected officials failing to use good judgement or represent their citizens. They did however take an opportunity to prove once again it is not what the people say in Carlsbad it is what the Mayor and his three merry men think is right. Non residents on an anti sb 54 tour were not asked to identify themselves and give their addresses as is the standard procedure when speaking at the podium. The police presence indicated that the Mr Blackburn knew this would be controversial. The effect of this circus was to further define the divide between the people of Carlsbad. It was definitely not to bring people together in common cause. It was used as a chance to appeal to the anti sb 54 constituents. The vote was four zeros to one. I was unable to attend as the meeting ended before I returned from San Diego. But from what I have heard, I am ashamed of the majority of our city officials. During typical city council meetings, every speaker is required to state their full name and where they reside. Why were these out-of-towners given special treatment not accorded to constituents? Why was a SWAT team present? The four men knew that they were taking a divisive unpopular stand that did not represent the will of the citizens of Carlsbad. We are not haters. All I can hope is that people remember this when the November elections roll around. Absolutely shameful. Do they not know who lives and works in their town contributing to their fine economy? How many of them used illegal gardeners, haulers, or housekeepers? Give me a break! Please vote these council members out in 2018! They continue wasting our taxpayers money on issues like this. Once again our city council throws away our taxpayers $$$ away on what? Continuing the pattern of years of consultants & plans without action…special measures/elections…empty city owned buildings…empty city owned lots overgrown with weeds…& now a vote for what? Run for the House or Senate if you want to vote on federal issues. Please focus on improving the future of Carlsbad for the 110,000 tax paying citizens.